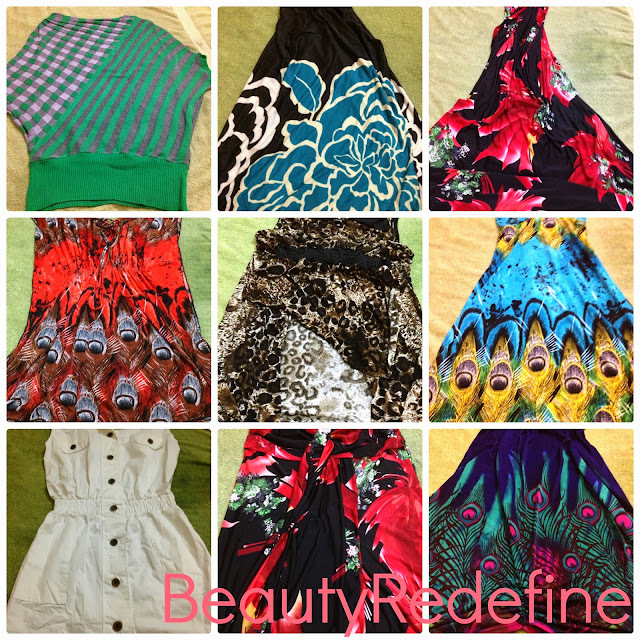 These Dresses i ordered from Bangkok-Thailand, my favorite place for shopping for clothes. Wow... way to go shopping! Great Haul!!! I'm loving the striped sweater. I'm loving the two peacock-inspired items - you have a great eye for prints! Those dresses are gorgeous! Did you buy them from an online shop? If so, can you share its link? wow i love haul posts ^_^ I bought three halter tops only to get the sleevs stitched afterwards but it took away the whole beauty.How do you manage the sleevless thingy?